The Biocubafarma Enterprise Group makes a decisive contribution to the health of the Cuban people, developing patented strategies, technologies, products and equipment for timely detection, diagnosis and treatment of various illnesses. Responsible for manufacturing 525 of the 849 essential medications which make up the country’sbasic catalogofmedicines, this Central Organization of Enterprise Management contributed to national healthcare programs linked to immunization, large-scale research into infectious and non-infectious diseases, efforts to tackle diabetes and its associated conditions, the fight against cancer with the use of modern Cuban developed products and catalogue of essential medicines used by the National Public Health System, among others. Founded on December 7, 2012 under Law no.307 of the Council of Ministers, Biocubafarma is working intensively on pioneering scientific projects, to develop new medicines, diagnostic systems and medical equipment, among other health products. The institution also undertakes projects in the field of agricultural and livestock biotechnology as part of its mission to contribute to food production in the country. 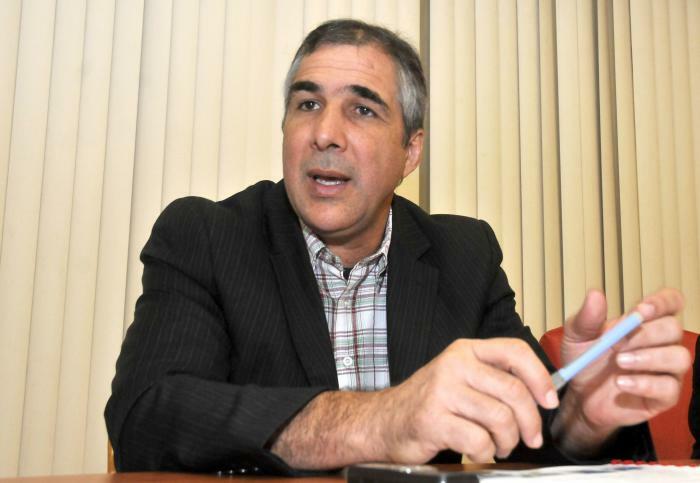 According to Dr. Eduardo Martínez Díaz, first vice president of Biocubafarma speaking to Granma International, the organization is composed of 31 affiliated entities and 62 production centers, with a staff of 22,000 workers. It is also the result of the merging of entities affiliated with the Cuban Scientific Complex located in the east of Havana and business group Quimefa, with over 30 years experience in the field. “The most important thing is the social impact of our products,” states the Cuban director in reference to Biocubafarma and Ministry of Public Health’s (MINSAP) contribution to important health indicators, such as the country’s low infant mortality and high life expectancy rates, among others. As is well known, in 2015 Cuba became the first country in the world to eliminate mother-to-child HIV-AIDS transmission, an important accomplishment, made possible thanks to diagnostic equipment and antiretroviral medicines to treat HIV and AIDS patients supplied by BioCubaFarma. Its production facilities manufacture eight of the 13 infant inoculation vaccines administered in the country, as well as essential medicines in a variety of forms: cytostatic, beta-lactum antibiotics, oral contraceptives, blood products, antiretrovirals, as well as dental products and medical equipment for hospitals, among others. Martínez Díaz also listed several of the institution’s globally renowned products such as Heberprot-P designed to treat foot ulcers in diabetic patients; Pentavalente; Interferón to treat viral infections and cancer; Estreptokinasa for heart attacks; Policosanol (known as PPG) to treat cholesterol disorders; Prevenox for bone ailments; Abexol for gastritis, and Palmex for prostatic hyperplasia (BPH). Others include monoclonal antibodies and anti-cancer medications such as; Nimotuzumab to treat brain and throat cancer; Vaxira and CIMAvax EGF for advanced lung cancer; Eritropoyetina human recombinants for chronic anemia; and Filgrastim a granulocyte colony-stimulating factor (G-CSF) for patients suffering from Leukopenia, among other Cuban patented products available in 40 countries worldwide. The Center has various medical teams which work on hearing screening and audiological diagnosis programs, developing devices for physical-motor rehabilitation; hearing-aids;electroencephalography; equipment used for research into neurodevelopment disorders; digital electrocardiographs; transportable blood pressure, physiological and two-phase monitors; and blood glucose meters. The work of this modern biopharmaceutical organization also includes developing medications and products for animals and plants, with Martínez Díaz citing a vaccine against swine flu and a pesticide to protect citrus fruits against plagues, all developed through the use of bioinformatics. “Still in the development stage, we are working on developing different types of varieties of corn and soy using modern genetic engineering tools. Our objective is to increase food production in order to resolve a global deficit,” states the BioCubaFarma vice president and biologist. Cuba is conducting successful research into developing a vaccine against cholera, with satisfactory results seen in the first phase of clinical trials, however further studies must be carried out before it can be submitted to the health register and subsequently made available for common use. He also clarified and highlighted that promising studies into HIV-AIDS are underway with clinical trails into a potential vaccine being carried out. At present, one of the organization’s most important tasks is to help combat epidemics of illnesses such as Zika, chikungunya, dengue and yellow fever, all caused by the aedes mosquito, for which the facility is developing home-use anti-vector sanitation products as well as medicines to treat the infected. Chemical engineer Teresita Rodríguez Cabrera, vice president of the Group’s Logistics, Operations and Production Management Center, expands noting that eight medications to treat these illnesses are currently available across the country’s network of pharmacies, in addition to a reserve supply in the event of an outbreak. “Our products come in a range of forms, such as vials, oral varieties, tablets, capsules, creams and ointments, across an assortment of different pharmaceutical categories such as respiratory, cardiovascular and antibiotics which support the entire public health system,” she notes. Such results are possible due to the facility’s investment plan which is designed to support increases in productive capacity, fulfillment of regulations for biopharmaceutical production and the use of modern global technologies which contribute to the development of the industry in Cuba, and access to new markets. In addition to investment processes the facility is currently building eight out of total 20 production plants in the Mariel special Development Zone, which will contribute to early product development. 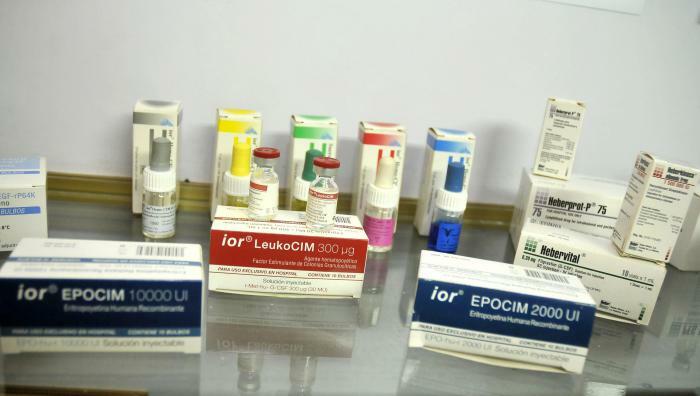 Both directors highlight a prosperous and sustainable future for Cuba’s biopharmaceutical industry, representing one of the island’s largest production sectors with the greatest export potential in country’s socialist state enterprise system.